Our Board of Trustees members have deep roots here and a broad knowledge of our community’s needs. They are dedicated philanthropists who work hard to steward our investment in the region and inspire giving among others. 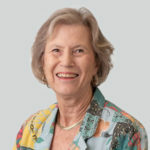 Ms. Castor has devoted much of her life to public service, most notably as President of the University of South Florida, Florida Commissioner of Education and President and CEO of the National Board for Professional Teaching Standards. Her public career began with her election to the Hillsborough County Commission. Subsequently, she served three terms in the Florida Senate. She is a founding member of the USF Women in Leadership and Philanthropy and a past member of the Hillsborough Education Foundation. She is a member of the Fulbright Foreign Scholarship Board and the Tampa Bay Committee on Foreign Relations. She received her BA from Rowan College and her Master’s degree from the University of Miami. She is married to Samuel P. Bell III. Mr. Mohr is a Florida Bar Board Certified Wills, Trusts and Estate Lawyer with his office located in Sun City Center. 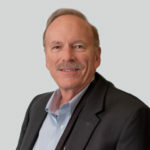 A long-time supporter of Community Foundations, he has worked with clients to establish funds within the Community Foundations of Tampa Bay, Palm Beach, Milwaukee, and Madison, Wisconsin, among others. 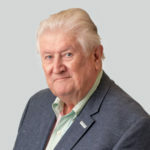 His relationship with the Community Foundation of Tampa Bay goes back to its founding, when he worked with the initial supporters to establish a community foundation in Tampa. 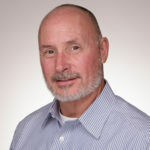 Mr. Fries is the founder and Chief Executive Officer of Hiregy, a Tampa-based company since 2004. Bill has chaired the board of the Nonprofit Leadership Center of Tampa Bay and now serves as governance chair. He attended the University of Central Florida. He and his wife, Marcy, have two young daughters, Madison and Whitney. 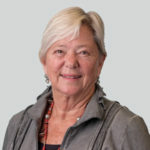 Ms. Fenhagen retired as Vice President of Development at WEDU. She was Head of School at Tampa Preparatory as well as Assistant Head of School for over 20 years. 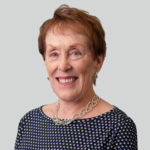 During her time there, she was President of the Bay Area Association of Independent Schools, an officer of the Florida Council of Independent Schools, President of the Council for Women in Independent Schools and a member of the Country Day Headmasters Association. She has consulted for schools across the nation. Ms. Longhouse is a shareholder in the Tax, Trusts and Estates Practice Group of Allen Dell, P.A. She is a member of the Florida Bar, Hillsborough County Bar, and American Bar Associations, and is admitted to practice in the U.S. Tax Court. Ms. Longhouse is past President of the Tampa Bay Estate Planning Council. Ms. Longhouse represents individuals with tax, estate, charitable, and business planning; institutions and individuals in trust and estate administration; and tax-exempt organizations. 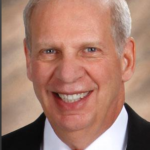 Mr. Capron is the retired owner of Capron Sales Company of Wisconsin. He and his wife Barbara have been residents of Sun City Center since 2005. He volunteers as a tutor and supports arts and culture organizations. Mr. Casey served for 16 years as President, CEO, Director and Chairman of Gerdau Ameristeel. He completed the Advanced Management Program of the Harvard Business School. Mr. Casey served as a commissioned officer in the Special Forces Green Beret of the U.S. Army and was awarded the Bronze Star and Vietnamese Cross of Gallantry. 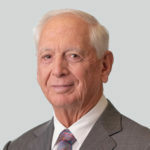 He is a trustee of the University of Tampa, the Tampa General Hospital Foundation, ChairScholars Foundation, and the U.S. Army Special Forces Association. 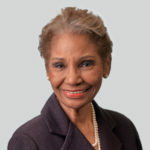 Ms. Douglas has a long relationship with The Community Foundation of Tampa Bay, including a term as Chair of the Foundation’s Board of Trustees. 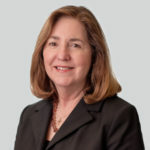 She practiced commercial and construction litigation at the Tampa firm of Bush Ross until her retirement in 2004. 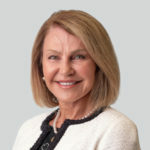 At Bush Ross, she became a shareholder in the firm in 1993 and later held the position of Recruiting Partner. She is a Board Member of Academy Prep Center of Tampa Bay and WEDU. She volunteers with the Sun Coast Chapter of the Make-A-Wish Foundation. Before joining the Community Foundation of Tampa Bay, she was a member of the Board of Trustees of St. John’s Episcopal Parish Day School. 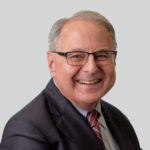 Mr. Fasan, managing principal at Sabal Trust Company and Sabal Investment Management Company, brings more than 30 years of experience in trust administration and investment management to the Foundation. Fasan has also served the community as an advisory board member for the Salvation Army St. Petersburg Area Command and Tampa Bay Watch. Ms. Hanna is an estates and trusts attorney with substantial experience in corporate and tax law, and business and corporate transactions, including public finance bond transactions. 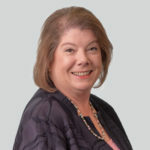 She was selected for inclusion in The Best Lawyers in America, 2006-2013 and in Florida Super Lawyers, 2008-2013, and is a Charter member and past President of the Athena Society. 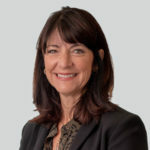 She is a director for A Kid’s Place of Tampa Bay, Inc. and a member of the Bank of Tampa’s Women Connected Advisory Board. 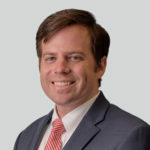 Mr. Hengesbach, an attorney at Hengesbach & Hengesbach, P.A, where he practices in the areas of civil litigation, real estate, business, and family law. A second-generation Hernando County native, Hengesbach is actively involved in the community as a board member for the Nature Coast ARC, Hernando County YMCA and Notre Dame Catholic School. Mr. Koren, a partner in Holland & Knight’s Tampa and Lakeland offices, leads the firm’s private wealth practice. Koren also authored “Estate and Personal Financial Planning,” a five-volume treatise that covers planning concepts for asset accumulation and transfer. He brings experience as an estate attorney and accredited estate planner to his volunteer role with the Foundation. Dr. Lindell is a board certified ophthalmologist and age management medicine specialist licensed in Florida and N.Y. She resides in Tampa with her husband, Carl Lindell and together they are involved in many organizations in the Tampa Bay Area. She is a board member of the Humane Society of Tampa Bay and the Dean’s Advisory Council of the College of Arts and Sciences of USF. She is involved in mentoring at USF where she has given presentations. She is a member of the Circle of Red within the American Heart Association, Women in Philanthropy of St Joe’s Hospital, Women’s Leadership Council of Tampa General, Ukrainian Medical Society and Society of International Business Fellows. Mr. Rios is a Certified Financial Planner® and Registered Investment Advisor with Ameriprise Financial Services, Inc. in Sun City Center. He and his wife, Melissa, have lived in the Valrico area for over 25 years along with their three daughters. 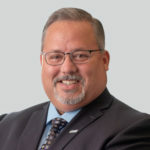 He is a member and Past President of the Sun City Center Rotary Club, as well as a past board member of the Sun City Center Rotary Club Foundation, Sun City Center Chamber of Commerce, Brandon Chamber of Commerce, and the Brandon Foundation. He also has served as the Past Chair of the South Shore Council for the Community Foundation of Tampa Bay. Mr. Rios, and his wife, both grew up in western Pennsylvania and attended the University of Pittsburgh, where he received his B.A. in Economics/Business. 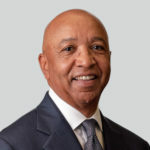 Mr. Sena is president and managing partner of MediaSphere Partners, LLC, a financial advisory and business development company specializing in media and communications. Mark is president of Mars Communications Inc., a wireless broadband spectrum company. 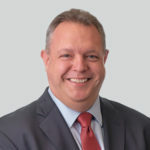 He has worked in more than 25 countries in Europe, Latin America and the Caribbean providing mergers, acquisitions and financial services to companies involved in cable TV, broadcasting radio and TV, programming, publishing and telecommunications. Mark holds M.A. and B.S. degrees from the S.I. Newhouse School of Public Communications at Syracuse University, where he has been on the advisory board since 1998. 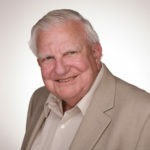 He has served as chairman of the international development committee at The Cable Center; advisory board member of the Institute for Research In Art; advisory council member of the Center for International Business at USF; board member and chairman of the public policy committee of Creative Tampa Bay; and advisory board member of Arte, the Latin American arts festival in Tampa Bay. Mark Sena has two daughters and is married to former Tampa city councilperson Linda Saul-Sena. Mr. Shane is a Private Wealth Advisor with Ameriprise Financial Services. In 1972, he and his wife Betty Sue moved to Florida temporarily, and they never left. He worked in public accounting and as a corporate executive before becoming a financial advisor in 1999. As a financial advisor, he has assisted clients to establish funds at Community Foundation. Joel currently is a director and Audit Committee Chair of The Florida Orchestra. He is a graduate of American University and College of William and Mary Law School. His hobbies are work, hiking, and adventure travel. Mr. Stanger is a Certified Financial Planner (CFP)™, Estate Planner, and Wealth Manager with Simon & Associates of Raymond James, located on Harbour Island in Tampa. 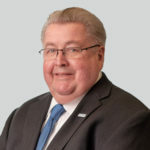 With over 40 years of experience in financial services, he previously worked as the National Director, Sagemark Consulting of Lincoln Financial; and Regional CEO and Advisor for CFA. 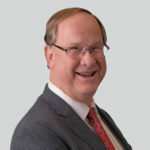 He is founder and past chair of the Annual Estate and Tax Planning Continuing Education Seminar, co-sponsored by the Community Foundation of Tampa Bay and WEDU PBS and a past board member of Greater Tampa Junior Golf Association, Tampa Bay FPA, and Tampa Bay Estate Planning Council. 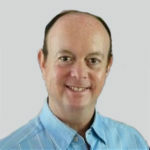 Mr. Starkey is a Senior Sales Executive with Genesys and has over 20 years in the Information Technology market. He is Past President of the Economic Club of Tampa and his other community involvement includes the Outback Bowl, Hyde Park UMC, Easter Seals, and Metropolitan Ministries. He and his wife Janet have a daughter and a son, who are both becoming involved with the Family Foundation Program at CFTB. Ms. Williams has worked as President, WJDR, Enterprises, Inc. and in property management, community development and as a stockbroker. Her community involvement includes Chairman, Legacy Committee, Church of Ascension; Secretary, Florida Wildlife Corridor; President, Carlouel Homeowners Association; Trustee, Hanover College. She is a past member of the Clearwater Marine Aquarium Board and had broad community experience in Dayton, Ohio prior to moving to Florida in 2003.. She is a graduate of Hanover College, and she and her husband Alex have three grown sons and five grandchildren. Mr. Rief is with the law firm Allen Dell, PA. 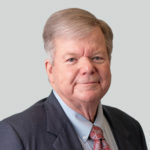 He is a member of the American Law Institute and is a Fellow of the American College of Trusts and Estate Council, American College of Tax Council, and the American Bar Foundation. 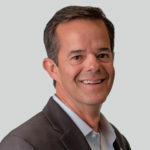 He serves on the Board of Directors of the Frank E. Duckwall Foundation, Tampa Bay History Center, Straz Center Foundation, Florida Humanities Council, Poynter Institute Foundation, the University of South Florida Foundation, and the Small Business Council of America. He is a member of the Endowment Committee of the Episcopal Diocese of Southwest Florida. Anesta Boice, Vice President Trust Officer Capital City Trust Co.
Our committees offer leadership and guidance for our operations. Oversees the annual independent audit of the Community Foundation to include approving the scope of the audit to be performed, monitoring and reviewing audit conclusions, and reporting those conclusions to the Finance Committee. Responsible for building and nurturing lasting relationships between donors and the Community Foundation and ensuring that there is a comprehensive new donor development and donor stewardship program. Also oversees the Community Foundation’s programs for engaging a broad Professional Advisors Network of leading professional advisors in the community who will encourage and recommend gifts to the Community Foundation through individual and public contacts. Supervises the preparation of the budget for the Community Foundation, sets the annual endowments distribution policy, and reviews for Board approval other financial policy proposals that may come to the Committee’s attention. Responsible for the identification, cultivation, recruitment, nomination, and orientation of new Trustees, the continuing education and evaluation of current Trustees, and the administration, legal aspects, and structure of the organization. The Committee also oversees the annual evaluation of the CEO as prescribed by the CEO Evaluation Policy and maintains and implements, if necessary, the CEO Succession Plan. Oversees and sets policies for investing the funds and endowments of the Community Foundation, evaluates with the investment consultant the investment results of the various investment managers on a quarterly basis, and authorizes the engagement of investment managers. Serves as an advisory group to the Board and the Marketing/Communications staff on the marketing and public relations programs of Community Foundation.